Newer pipe systems usually have problems, such as a small leak, that can be fixed with a quick repair. However older pipes can have multiple small leaks. You may repair one leak just in time for another to form. As a general rule, we usually tell our customers one or two leaks are normal, but if we are on speed dial it’s time to talk about repiping. Only a qualified plumber can make a professional recommendation on whether your property needs the pipes to be repaired or if a whole house repipe may be warranted. Give us a call today and one of our technicians will be more than happy to evaluate your plumbing and give you our recommendations. Complete repiping is often a last resort, but if you’re wondering whether it’s time for waterline or sewerline replacement, here are some of the signs that it may just be time to give us a call. When you need a home repiping, the evidence will be there. You just have to be able to keep an eye out for it. One of the more common pipes we see needing repiped is known as Polybutylene QEST, or “Quest” piping, and is grey in color. 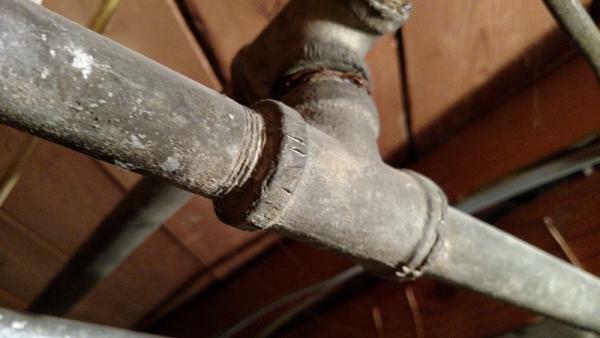 This pipe was used in the 1980’s and 90’s and was the subject of a major lawsuit due to its failure rate. The resulting trust fund has since dried up, and now it is getting to the point where insurance companies will not insure properties being sold if they still contain it, until it is repiped. Quest is by far our most frequent reasons for repiping both residential and commercial properties. Another even older pipe is made of galvanized steel. Repiping can simply be the best way to protect your water supply and keep leaks and clogs from leading to major repairs. Aside of leaks, its failure can lead to loss of water pressure, and actual rusty, discolored water. Today, most pipes are made from either copper or plastic. But some older homes still have pipes made from galvanized steel, which means your plumbing can be at risk of developing these problems. 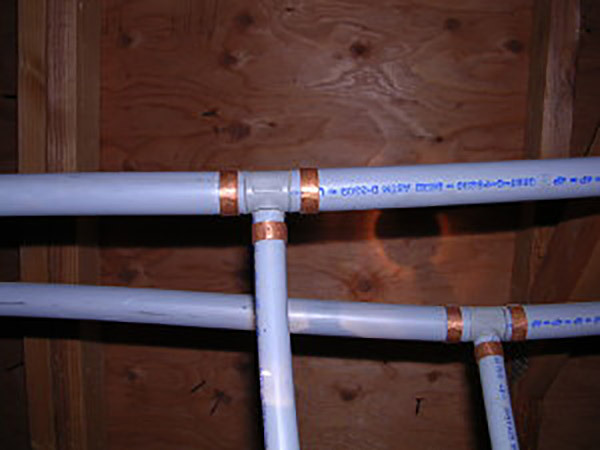 Give us a call for an estimation on the cost for replacing galvanized pipes with pex or copper pipes. As stated earlier, a couple of leaks here and there may be normal, and simply mean you need a repair. But if you’ve started to have to fix multiple leaks over time, it can mean your plumbing system is failing. Ultimately, repiping will be a better option than replacing corroded pipes bit by bit. 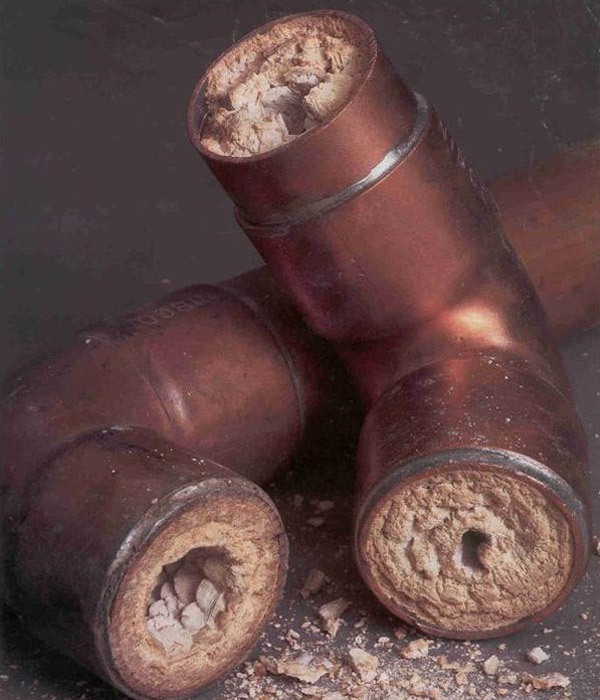 Minerals may build up in your pipes over time if you have overly hard water. And in the same category (but usually different localities) acidic water can damage any metal piping, especially copper, by literally eating it away. Hard water is a condition in which the water supply has a high concentration of calcium, while acidic water is considered anything with a pH below 7.0. Both these conditions may cause a number of problems for the appliances in your home, as well as the pipes, including a white or yellow-green buildup around fixtures like faucets and shower heads, and of course, leaks. While this is an indication of a problem, you probably don’t need repiping unless you’ve noticed significantly reduced water pressure or multiple leaks or softening pipe. If this is the case, you may need to repipe as well as install water treatment to prevent further damage. Whatever the reason for your concern, just give us a call and we will schedule a convenient time for you to meet with one of our master plumbers to see if a repipe should be a solution for you. From the two bathroom ranch house, to the 120 unit apartment complex, we have done them all. © Solutions Mechanical. All rights reserved.